In this show we will be picking where we left off last week. Last week we covered a hard truth that you do not need a ham radio license to use a radio and having a license does not mean you know how to use a radio. We covered the license free, go nuts channel on FRS and MURS. 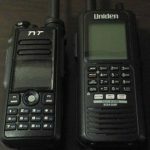 I also covered that honestly and legally you need a license to use GMRS and defiantly need a license to use the Amateur Radio bands. We covered the 4 rules: Clarity, Simplicity, Brevity, and Security. We then began discussing how the behaviors of the HF, VHF, and UHF bands differ. However, if you remember we ran out of time. Listen to this broadcast or download “Amateur Night at the Dipole. Pt 2. Safety Dance” in this player! So, in this show we will be expanding on safety around antennas and radios. Did you know that in perfect conditions you could be electrocuted or seriously burned by radios and antennas? It’s true. The same type of energy coming off antennas is the same type of energy your microwave uses to cook your food. RF, in high amounts, will cook you the same as a microwave oven does to leftovers. The likelihood of a person coming into contact with dangerous voltages and power during a grid down event, but it is worth discussing for grid up times. 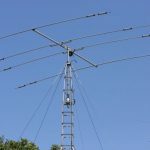 If you are at an outdoor event and a ham radio operator is running 500 or 1000 watts of power on a sloper or NVIS dipole antenna and you happen to touch that antenna it is going to hurt. Next we will cover voltages and fire hazards that are present with radios. It would be real bad if in a grid down situation you key up a radio and happen to start a fire in your listening post because you used a fuse that was too small or you happen to be the path of least resistance for 30 amps of current. Scared? Curious how to prevent these? Then listen in for Part 2 of Amateur Night at the Dipole. Previous: Previous post: Prospering Outdoors and the discount! Next: Next post: What the U.S. looks like in another World War!